A TIA is a type of neuro vascular episode and is also known as a mini stroke as the symptoms are very similar. A TIA doesn’t last as long as a stroke but means you can be at risk of having a full stroke at a later stage. If you have suffered from a stroke or a TIA, you may have found your practical skills, such as eating, writing and walking, and general movement have been affected. Time spent in hospital may also have left you feeling less mobile. 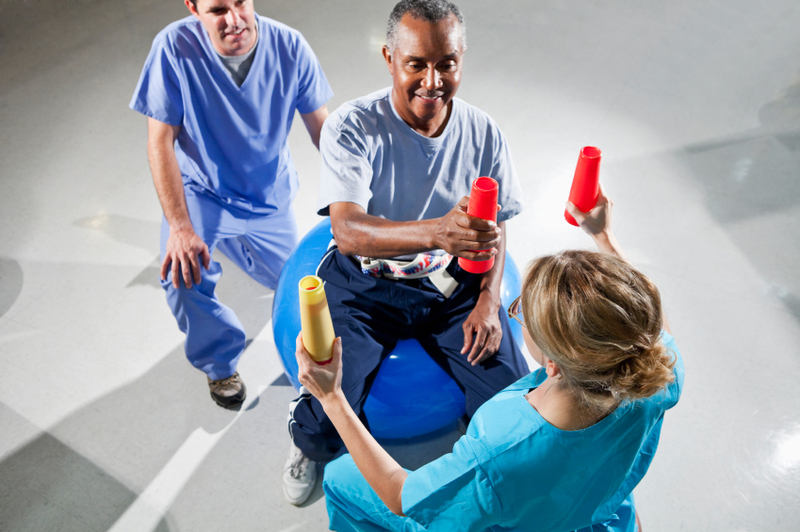 Fairhand Visiting Physiotherapists have worked with cases at all stages. Mrs A had a massive stroke, 5 years ago, which left her without active use down her right side. She’d had some NHS in-put initially but nothing since. Her husband also had health problems so they had a live-in carer. We immediately tackled Mrs A’s tight and painful right hand and taught all at home how to stretch and comfortably position the affected hand plus how to look after her nails and hand hygiene. Mrs A’s ambition was to walk again. We have been very successful, treatment has restored Mrs A’s mobility and she is delighted to now be able to walk 100 yards, with her carer only providing light supervision, for safety. We now only need to visit her once a month, for maintenance work.